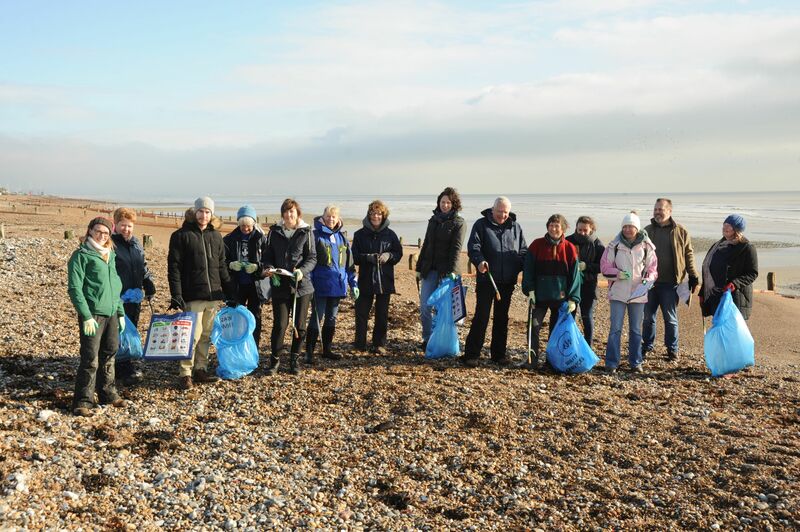 Why are beach cleans so important? David Attenborough in Blue Planet II revealed some of the shocking effects that plastic pollution is having on our oceans, and the programme created a lot of interest in reducing our use of plastic. 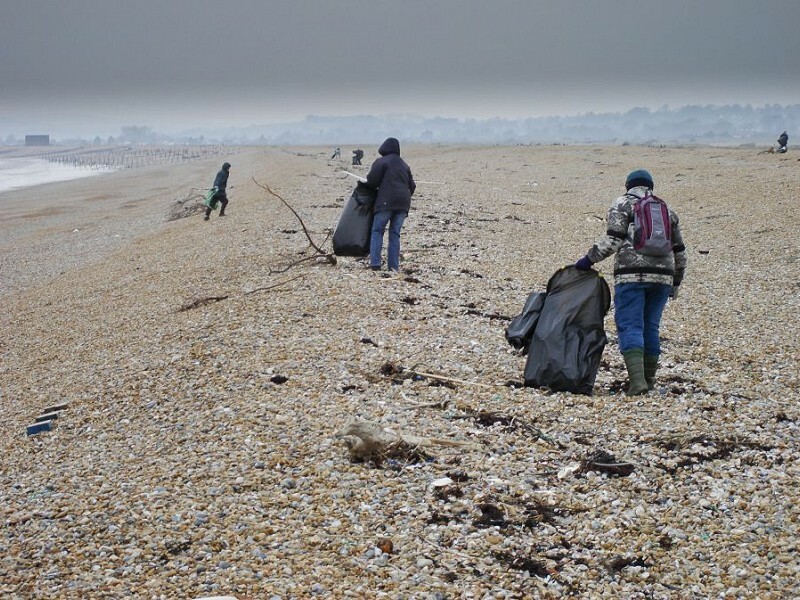 Sussex Wildlife Trust has been so pleased by the number of volunteers and corporate groups who have taken part in beach cleans. It makes a difference, and we really appreciate it. But we do need to keep on doing it. Storms and tides wash up debris on the beach, and there are unfortunately also a few visitors who don't take their rubbish home. We often find pieces of fishing net, rope and lots of bottle tops. Have you ever come across something unusual? We find odd things all the time – we can spend ages trying to identify what some things once were! Things I have kept include plastic seagrass – one of nearly five million bits of Lego that fell into the sea in a container in 1997, still being washed up today. We liked a pebble with a 'smiley face'. 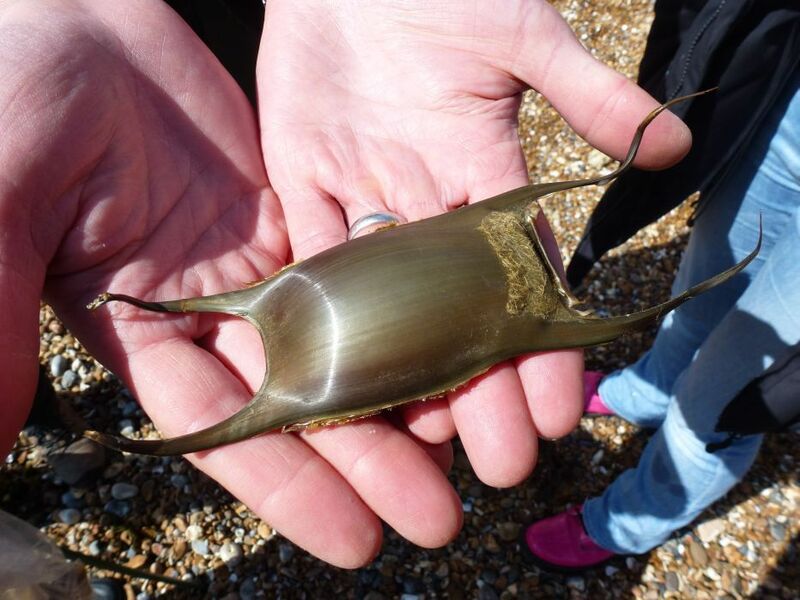 I also enjoy finding mermaid’s purses, that I can record through the ‘Great Eggcase Hunt’ recording scheme. How much of a difference does it make when people volunteer to help? It makes a huge difference. I can't collect much on my own, but with a group of us, we can cover a much greater area. Is anyone welcome to come? Yes, absolutely. And families are very welcome. 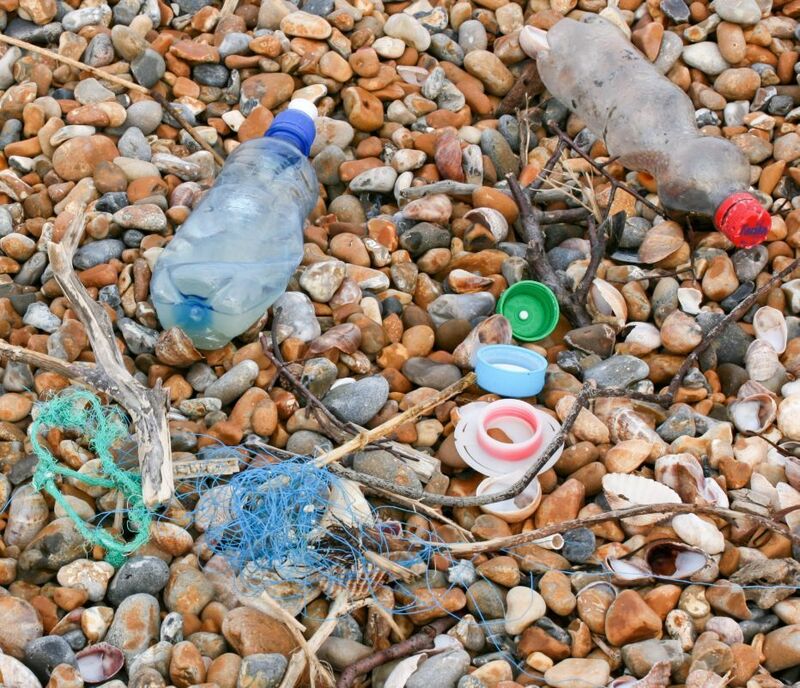 When do the beach cleans take place? We always have a beach clean at the start and end of winter. And monthly, our volunteer Litter Heroes (and anyone is welcome to be one) come along for a couple of hours, for a stroll, chat, look at wildlife as well as some cleaning up. This happens on the 4th Wednesday of every month, year-round. 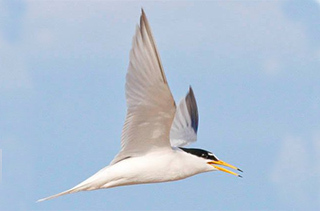 We meet 10am at Rye Harbour car park. When is the next beach clean? Saturday 23rd March, from 10 till 1pm. Afterwards, we serve delicious homemade soup! We meet in the Rye Harbour car park then drive the volunteers down to the beach, and spread everyone out, so we can cover the largest possible area. We advise that people wear sensible clothing. Layers are good. It can be windy. Are there other ways people can help? Yes, whenever you visit a beach, take a bag with you and do a two minute clean. It can really make a difference when lots of people do this. We’d like to say thank you to all our volunteers. We couldn’t do all the work we do to support local wildlife without them. 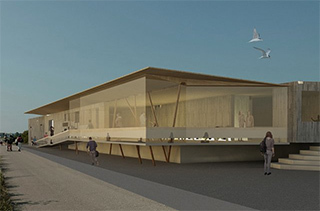 On Rye Harbour Nature Reserve during March, Baxall Construction will be starting work on the Discovery Centre. 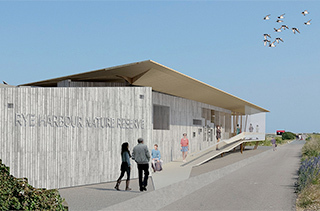 This is a joint project between Sussex Wildlife Trust and the Friends of Rye Harbour Nature Reserve. For regular updates, you can follow us on Twitter @RyeHarbour_NR or Facebook, RyeHarbourNR, or sign up to our newsletter ryeharbourdiscoverycentre.org.uk. And if you’re interested in volunteering for the Discovery Centre Appeal, see here.